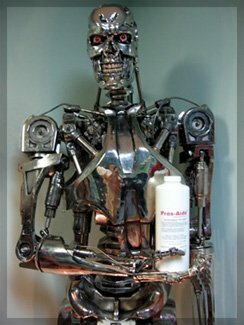 Coatings and Adhesives - ADM Tronics Inc.
ADM Tronics typically frowns on development of Evil Robots bent on the destruction of humanity. 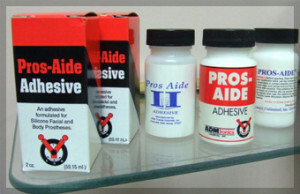 To the contrary we have developed Pros-Aide®, a water-based line of adhesives for the skin, that has been the worldwide industry standard for use in the professional medical prosthetic and special effects make-up industries. To find out more about Pros-Aide® click on the logo below. Through Aqua Based Technologies we develop environmentally safe water-based coatings, primers, adhesives and additives specifically formulated for use in the food and medical packaging, graphic arts, wall covering and converting industries. 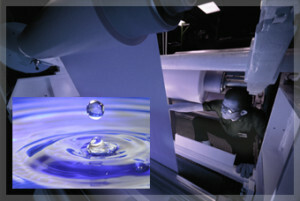 To find out more click on the Aqua Based Technologies logo below.